TeraThink is among the finalists for the Northern Virginia Chamber of Commerce and Professional Services Council’s annual Greater Washington Government Contractor Awards in the Contractor of the Year category for companies between $75 million and $300 million. The winners will be announced at an awards program Nov. 5. 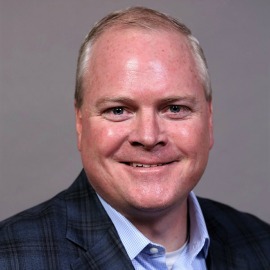 WashingtonExec spoke with CEO Dan Maguire about TeraThink’s biggest recent accomplishments, the direction the company is heading going forward, and the business book that has helped guide him. What was your organization’s largest accomplishment in the last 12-18 months? There is no question that TeraThink’s biggest accomplishment over the past year has been successfully completing our merger with Dominion Consulting. The integration of our two companies was a colossal effort. Throughout the integration, which took about eight months, we used a “what is best” approach to determine our future operating model. We literally evaluated every aspect of our business, from our overall pay band structure and accounting system, all the way down to minor items such as the design of our business cards. Taking this approach allowed us to embrace each company’s strengths and minimize our respective weaknesses, and in many cases, implement a totally new approach. I could not be prouder of the “new” TeraThink and our incredible team that made the merger a success! How has your business been able to grow as the federal market contracts? Growth can certainly be challenging, but it is a testament to our team that we have been able to find organic growth within our programs over the past year. This continually proves that we have some of the most talented and skilled employees in the market. It also confirms that our capabilities and the solutions we provide are aligned with our customers’ needs. That said, growth can be very elusive, so we will remain agile and always be prepared to adjust our approach mid-flight. The merger is a great example of successful growth for us. Top line growth is certainly one of larger challenges facing companies in our industry, but with great employees, a high degree of customer intimacy, and keeping our options open, I believe we are poised for success. How does your organization encourage employee engagement? Employee engagement is a super-high priority for me and for our entire team. At TeraThink, we have an “employee-first” mantra and culture, which in my opinion is the catalyst for our success. The approach we take to build an engaged workforce is multifaceted. For example, we utilize ongoing “career conversations” instead of formal performance reviews, we do biweekly microsurveys to gain real-time understanding from our employees on various issues, and we have built what we call “Communities of Practice” to bring our teams together. Using these and many more techniques, we feel the pulse of our great team and can adapt and build upon what we learn to make TeraThink as great as it can be. We are always open to hearing new ideas, whether they be new policies, new initiatives to take on, or new community groups to support. Employee engagement is priority No. 1 for us, and I believe our actions prove that point. How’s your business involved in the community? Community outreach is an area that we place a great deal of emphasis on at TeraThink. Each year, TeraThink commits to giving substantial resources back to our community, which is spread across several organizations and activities by our dedicated community outreach team. These organizations are chosen based upon our employees’ interests and passion. Just this year, we have over 20 scheduled opportunities for our employees to get involved, whether it be volunteering or fundraising. We also make sure to have a fundraiser of some sort at all companywide meetings. For example, last month, at our “all hands” meeting held at Lucky Strike bowling alley, our employees raised money, which the company then matched, for the Alzheimer’s Association. Seeing our employees in action supporting our community is an energizing and proud thing for me. What are the top one or two leadership qualities necessary to be a great leader? I strongly believe that to be an effective leader, you need to be an effective communicator. When in doubt, overcommunicate, especially regarding critical decisions that affect the lives of our employees. One thing I do is send out a companywide email every Monday morning — I haven’t missed a Monday in about three years — bringing everyone up to speed on each week’s important happenings, such as key wins, employment anniversaries and welcoming the newest TeraThink team members whether they are a new employee or a new baby announcement. We also have recently moved our “all hands” meetings to a podcast style, so that employees can listen to them on their schedule. My goal is to make sure everyone, whether you are a senior vice president or a recently hired analyst, has a deep understanding of where we are as a company and where we are headed. A close second quality would be empathy. To lead effectively, you need to instinctively understand your team. With a high degree of empathy, you can truly understand how to motivate your team by knowing what drives them and how to help them thrive. What’s the No. 1 business book that had the largest impact on your life or professional development? If you think of your company as a bus, a leader (the bus driver) should focus on getting the right people on the bus and in the right seats (and getting the wrong people off the bus) before deciding where to drive the bus. If you surround yourself with the right people at the onset, who are focused on succeeding no matter what the specific goal is, you can do just about anything. If you have the wrong people on the bus, and by wrong people, I am referring to those who are purely incentive-driven or focused on achieving very specific personal goals, you might build a good company, but it will never be great. A good portion of our leadership team has been together for a number of years, through a number of companies… I like to think that years ago we did a great job of filling the bus.